Welcome to the companion website of the monograph Multivariate Kernel Smoothing and Its Applications (or MVKSA for short). The image on the front cover represents a heat map of the kernel density estimator of the locations of the public lighting provided by the Paris city council. On these pages you will find the R code to produce the figures in MVKSA. To run the code snippets, download the open source statistical analysis software R (available on Windows, Mac OS and Unix), and then the ks package (requires at least version 1.11.1). These snippets are grouped together according the data set under consideration, rather than being presented in the same order as they appear in the monograph. They have also been modified to be more modular so that they can be easily reused/adapted by users for their own analyses, rather than being focused on reproducing the exact published layout. 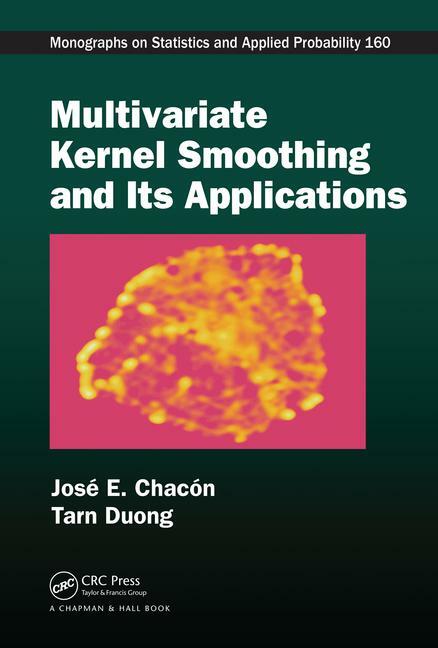 Any general questions about the kernel smoothing methods in MVKSA can be addressed to José Chacón jechacon(at)unex(dot)es or to Tarn Duong tarn(dot)duong(at)gmail(dot)com. Any specific queries about the R code (including bug reports) are preferably addressed to the second author since he is also the maintainer of the ks package. If you wish to support us financially, you can order a printed copy of the book from the publisher CRC Press or from another web site or, better still, from your local bookseller who would benefit greatly from your patronage.